Empire quoted us $11,284 on 650 sq ft. We could not afford to do the additional hall and utility room; however, when these guys came over they did the 650, plus the additional 120 ft, for $4,800! Believe me, they did a great job and cleaned up afterwards. They also gave us a warranty on labor and materials. They actually installed the same flooring match as our existing floors. Plain and simple; great quality, great price and great installers. Very nice and answered questions that gave me understanding and options. 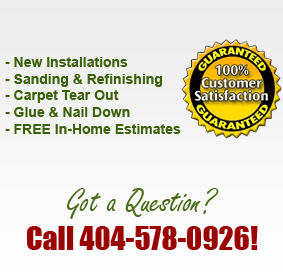 They explained my different choices and I worked with them to find the best solution for my flooring needs.